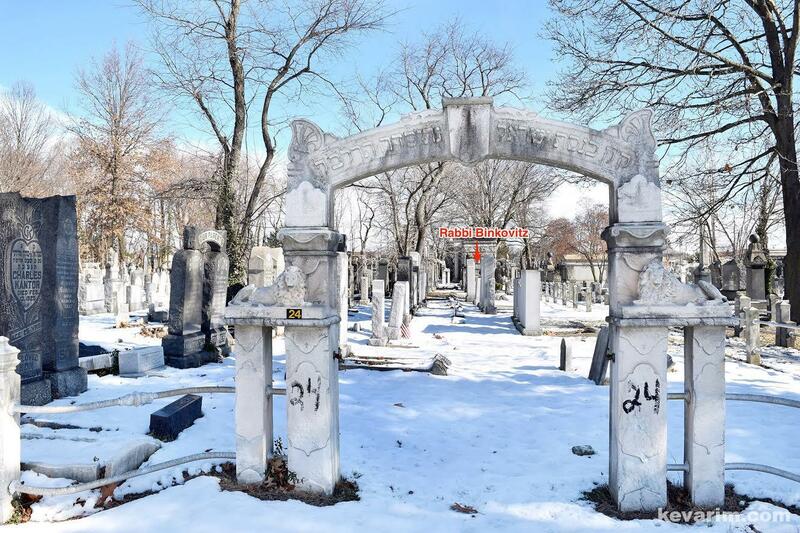 Directions to Kever: Although in a constant state of cleanup the Bayside Cemetery on Pitkin Avenue in Ozone Park Queens is in extreme disarray and can be dangerous, use caution when visiting!!! Actual care is provided by Cong Shaare Zeedk on the Upper West Side, they claim that all records were lost in a fire. Should an Emergency arise call 911. Location: Path V corner Path B, Enter at Path A, right on Path V until the end. Path V starts behind the Stich Mausoleum, the first mausoleum behind the office. The three Sforim that are availible at Hebrew Books (M’on Arye, Nahamas Arye and Choker Olem) were all printed while the Rav was still in Biyalistok. Does anyone know where he served here in NY? The sefer מראות אלקים is now abaviible on Hebrew Books, I did not find any additional biographic information on the Rav in there. Was he related to Rav Yitzchak Eliezer Benkowitz of the Boston area? The yahrtzeit was yesterday, i decided to hop over. Wow! that whole section was unrecognizable! The whole forest behind this section is gone. 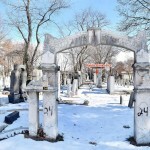 Although this place still needs enormous work, many gates (society sections) have been cleaned up already beyond recognition, Panim Chadoshos it is. 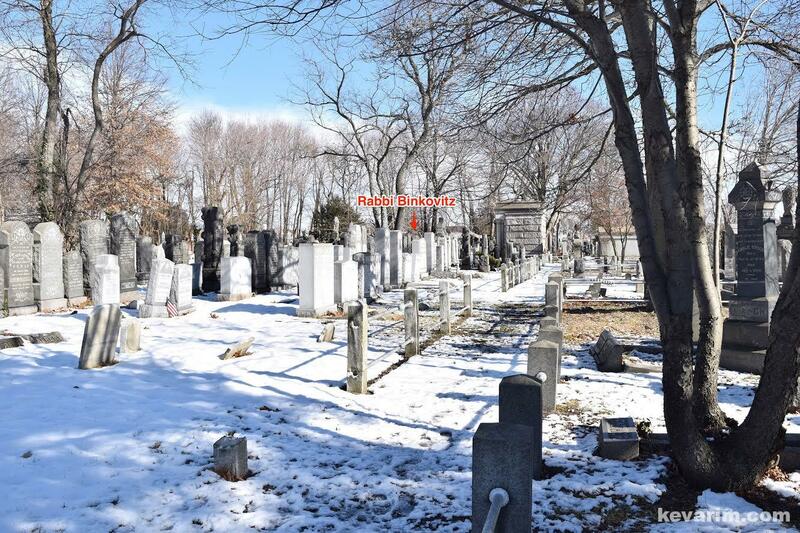 scroll down to the 4th row, 1st picture on the left – those 2 headstones behind the thorns are right behind Rav Binkovitz z”ls’ headstone. Again, the place did not graduate yet from disaster status, but many gates are accessible now. I only checked out the right path – you can now walk from Bayside to Acacia with ease (certain gates). Next week IY”H i will check upon the left part where Rav Koblantz and Rav Vidrowitz are buried- hopefully much earlier in the day, as yesterday being blown away by the transformation i forgot that 4pm is curfew and got locked in and had to walk all across to the Acacian side and scale the wall. If anyone has any pictures or links of images of Rav Binkovitz z”l, i’d so appreciative if you can share ’em with me. TY. Baruch, if not for you, i wouldn’t have known about this place, thank you. 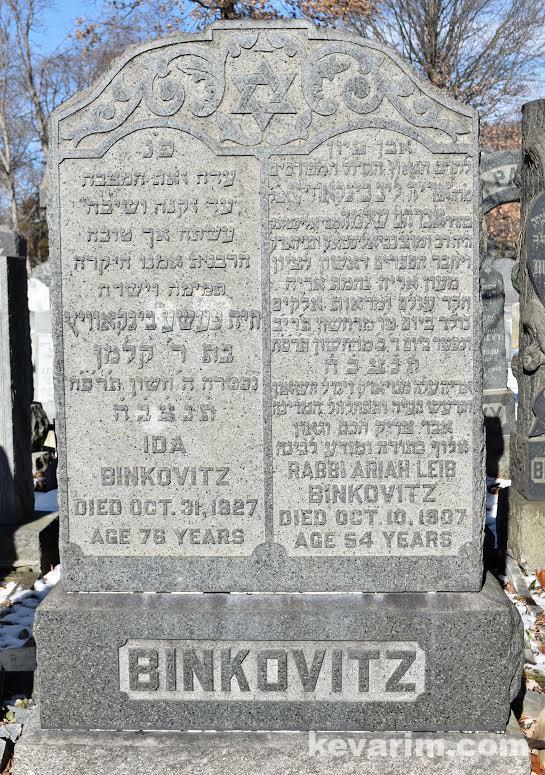 Searching on the Ellis Island site, i found one match of Leib Binkowitz who arrived 1895, age 44 – according to his headstone being 54 in 1907, this info is just 2 years off – can it be that the info is inaccurate but we are still on the person? 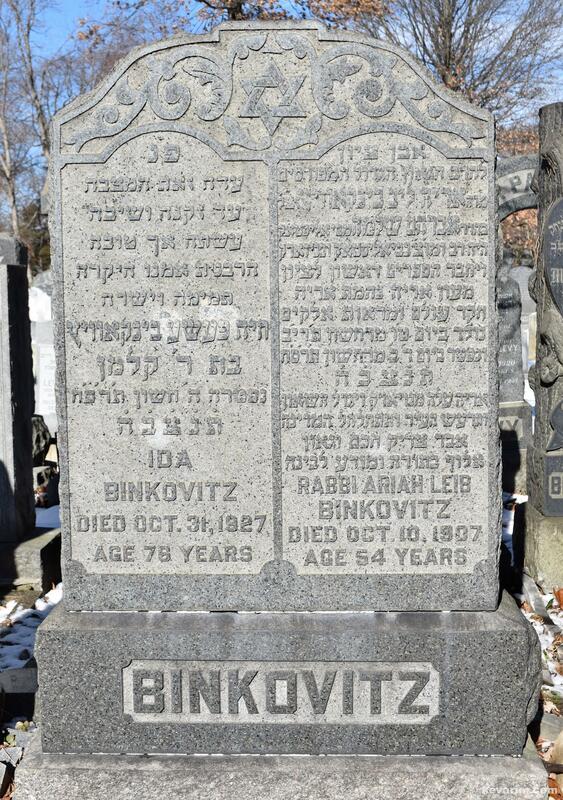 in fact, if you search for Binkowitz (with a W) you’ll see a few Binkowitzes originating from Bialystock (where teh Rav comes from) – i wonder if they were the Rav Leibs’ children or not. If only i can find a picture of him. Looking closely at the list of Binkowitzs’ – the 5th name is Chaja Binkowitz, age 43, arrived same year, 1895 – Chaya Pesha, was his wife – She passes away 1927 at age 76 – according to the EI records they are off 1 year, so Leib Binkowitz on the Ellis Island passenger records records is most definitely him. Yahrzeit coming up this Sunday. 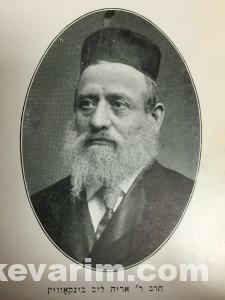 His son Morris A (d. 1942) was involved in Beth-El (Boro Park). There’s a yahrzeit plaque inside the shul with his name while I found another plaque 2weeks ago in Cong Bnei Yehuda (16th Ave). Not sure if it was mentioned before that Rav Binkowitz was rav in Eldtrige Street Synagogoe and is buried close to Rav Yudelovitch z”l. Asher, What is your source that he was rav in Eldridge? I paid someone to research the news archives. Sadly, I have misplaced the Obituary copies but it stated clearly that he served there and (am almost positive) that the funeral started from his house to the Shul. I will search for the copies. Farshlufen, B”H I found the copies (of the micro-film) albeit hard to read. I will translate from the Yiddish papers – hope to scan it tomorrow and upload a link to all. Was Rav in Khal Adas Yeshurun, Darshan and author of many seforim. Harav Aryeh Leib Binkovitch, the Rav from KAY, 12-14 Eldridge Street dies last night in at the age of 55 was Morah Haroah in Bialistock. 12 years ago he arrived in America and almost entirely (of teh 12 years) served as Rav in Congregation KAY. For 2 weeks he lay in bed and despite all efforts of the doctors to keep him alive, he succumb. The Funeral procession will start today, thursday at 12 noon, starting from the deceased abode at 186 Clinton Street. From there the Aron will be brought to Eldridge Street Shul where Rabbanim will be maspid him and then move on to the Bialistoker Shul on Willet Street. 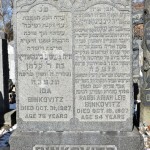 Harav Binkovitch will be buried in the cemetery (society?) 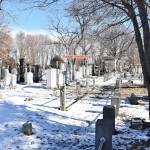 of Kahal Adas Yeshurun in Bayside cemetery. Asher, Thanks for that, interesting that the book “Landmark of the spirit – The Eldridge St. Synagogue” has no mention about him. Another note, he signs himself CHIEF RABBI. A third note, Iit’s mentioned somewhere (I believe a sefer printed by R’ Yosef Goldman that list all seforim printed in the USA) that Rav Binkowitz z”l died through starvation, very strange. Can someone verify or get more info on this. “Va’tir’ash Hair Va’tischalchal Hamdineh” – not sure how to translate this but roughly it translates to “the people of the city were extremely shocked and the entire nation was shaken” by the passing of the Rav – were they just shaken due to the untimely passing or because of his young age. His son Morris arrived in America before him and was rather well-to-do. I am a Binkovitz. There are not many of us. I had never heard of this rabbi. Does anyone know more about him or his family tree?